"Oh, that? That's just Great Mount Capri Sun. Grandpa says we're never to go there." My parents have been trying to get me to join Sam’s Club for several years now. They are ardent supporters and, should the US be struck by famine or war, just report to my parents house. They’ll be able to keep you fed for several years. “You might save yourself some stress,” my mother in law said after a visit in December, “if you’d go and stock up on meats and things for the freezer.” Fine. Maybe God was speaking through my and my husband’s parents. Plus, I hate grocery shopping. The endless possibilities are a little too much for my little frazzled rodent brain. I was beginning to feel like I was traveling a constant, vicious circle in my quest for ground beef and drink boxes. So, if this meant less visits to that brightly lit, poorly organized hell-hole, that’s not a bad thing. I went. I got the $40 membership. 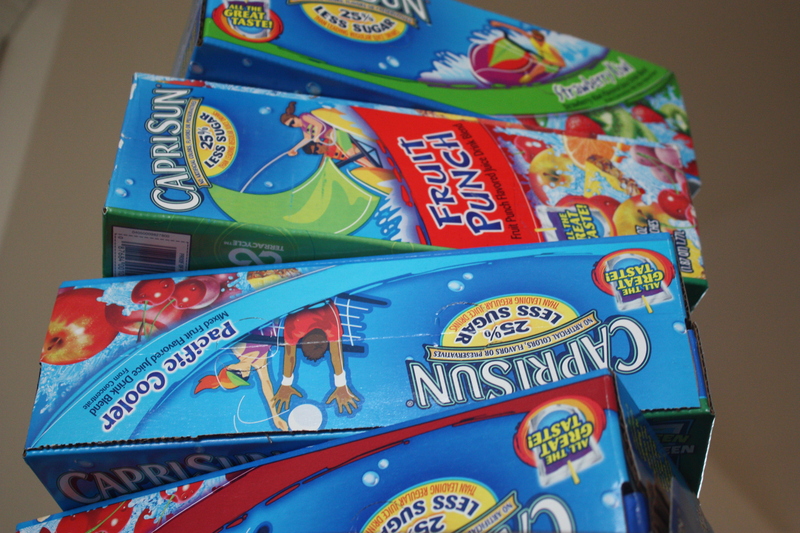 I loaded up on Capri Suns, ground beef and chicken thighs. I have a container of salsa larger than my head. I got a hot dog and soda for less than $2. It wasn’t so bad. I’m planning on cooking and freezing a bunch of meals today. Woop woop. I was a Sam’s club go-er and advid CVS-er when we lived in Baltimore! It is so overwhelming to me but I hope it helps you cut down trips to the grocery store! I come in with a list and don’t let myself look at ANYTHING else lol. It’s mostly just for meat and drinks/snacks for Little Jerryn’s lunch.